Replacement: due six (6) years from date of manufacture or five (5) years after beacon is placed into service, whichever is first, or after emergency use. 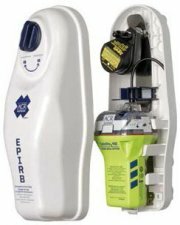 Replacement: due ten (10) years from the date of manufacture or after emergency use, not to exceed battery expiry. 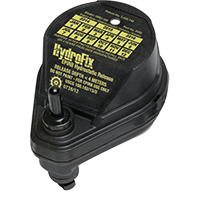 The HydroFix™ Hydrostatic Release Unit (HRU) is a patented rod system that allows a beacon to be quickly and reliably released from a Category I bracket when submerged in water between 1.5-4 meters (4.9-13.1 feet). This unit is designed to work with the Sea Shelter™, Sea Shelter™2, Sea Shelter™3, and Sea Shelter™4 beacon brackets. 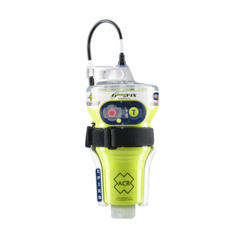 The ACR GlobalFix V4 Cat 2 Emergency Position Indicating Radio Beacon (EPIRB) is a GPS enabled rescue beacon designed for use on a vessel. It requires manual deployment and will pinpoint your location to Search and Rescue services during an emergency.